DesignBuild: No job too big or too small. Low impact design meets sustainability. Let's design your dream together. 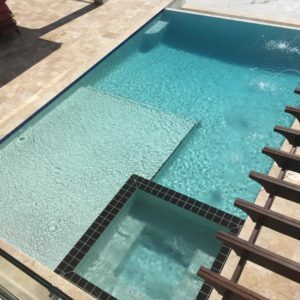 As a designbuild firm, we specialize in swimming pool design, engineering, construction and installation. From soup to nuts, we manage your dream project so you can enjoy the Florida lifestyle. 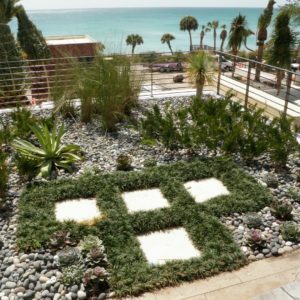 Low Impact Design keeps the environment and cost of maintenance in mind so that you can have a beautifully designed project that balances the lifetime cost with aesthetic appeal. 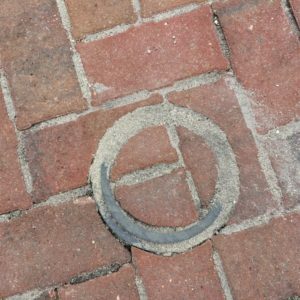 The Embedded Ring Infiltrometer Kit (ERIK) system measures the performance of a pervious system’s infiltration capacity over time. Erik Stuart, a licensed engineering firm, designs places where people enjoy their time, want to visit, live, work and enjoy. 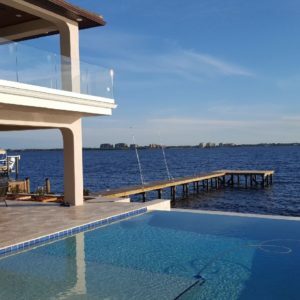 Our glass railings bring out the great design elements that impress and amaze in our Florida lifestyle. We can assist in giving you ideas, designing and implementing beautiful railings in your Florida home. Let us take your dream project from conception to reality. Erik Stuart Design Build is proud to be the concierge company for all your design, engineering, and construction needs. We take pride in being the BEST company out there. 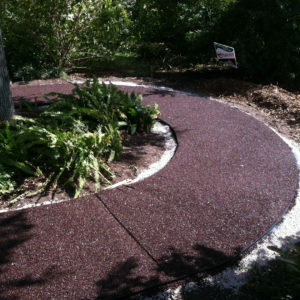 Satisfaction is guaranteed at the time of the completion of your project. We utilize the best methods in design and engineering that help you realize your dreams and meet your budget expectations. We stay the course with you from conception to end product because customer satisfaction is our entire objective. We have invented a product (ERIK) that helps us meet and exceed environmental goals related to your project because being the very best is important to us. We build grass roofs and tiki huts because we think being a little bit exceptional is okay (and good). Check Out Our Latest News & Projects! Let's make your dream project a reality together!